A Northern California player with a Southern California background ended up stealing the show at the annual California Senior Amateur Championship. Mark Morgan, a member at Serrano CC and a USC alumnus, had a day to remember in Wednesday’s final round, posting a final round 2-under 69 to come from two strokes back to capture the title at par-71 Pauma Valley Country Club. He’d finish with a 54-hole total of 1-under 212, defeating runner-up David Nelson of Reno by six strokes. In 2016, Morgan, who turned 58 last Saturday, grabbed his first NCGA title with a win at the annual Senior Valley Amateur. In 1981, he lost in the finals of the NCGA Amateur Match Play Championship, 1-up. Now, he’s a State champion. Entering the final round, Morgan trailed second round leader Don DuBois of Newport Beach. DuBois fell back into a tie for third after a 77. First round leader John Mack, who was also a threat, slipped backwards as well with a 78. Morgan, meanwhile, was one of the few to figure things out. Coming off a ho-hum 1-over 36 on the front-nine that concluded with a double-bogey, he’d go on to post a back-nine 33 with four birdies. The big surge came on holes No.13-No.15, where he carded three straight birdies to get to a total of 2-under. After that, it was just a matter of avoiding big mistakes. Following Morgan and Nelson, the next highest Northern California finish was from recent NCGA Senior Championship winner Tony Padilla, who carded a 73 to place ninth at 220. A Southern California player is still in the lead, but there”s still 18 holes left to be played. Don DuBois of Newport Beach took the lead at this week’s annual California Senior Amateur with a two-day total of 1-under 141 following a 70 on Tuesday at par-71 Pauma Valley Country Club. First round leader John Mack of Alta Loma, is in second at 142 after a 73. In at 143, and just two strokes behind DuBois, is 2016 NCGA Senior Valley Amateur champion Mark Morgan. Morgan made a move with a 70 that featured six birdies, a bogey and two double-bogeys. The two double-bogeys came on the back-nine, where he’d card four birdies. David Nelson of Reno is T-5 at 146 following his second straight 73. Both Randy Haag of the Olympic Club and recent NCGA Senior Championship winner Tony Padilla could still be big factors. The two are just six behind the leader after rounds of 74 and 72, respectively. 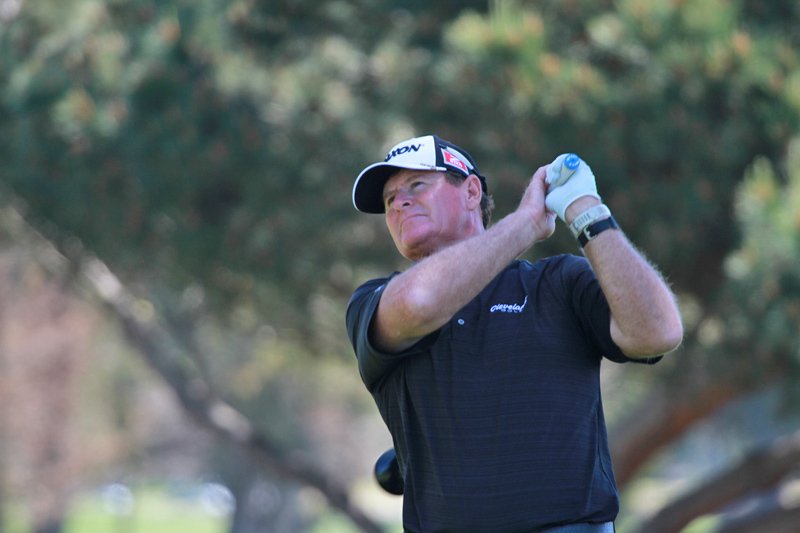 Terry Foreman, who was in the hunt after the first round, slipped back to T-14 after a 76. 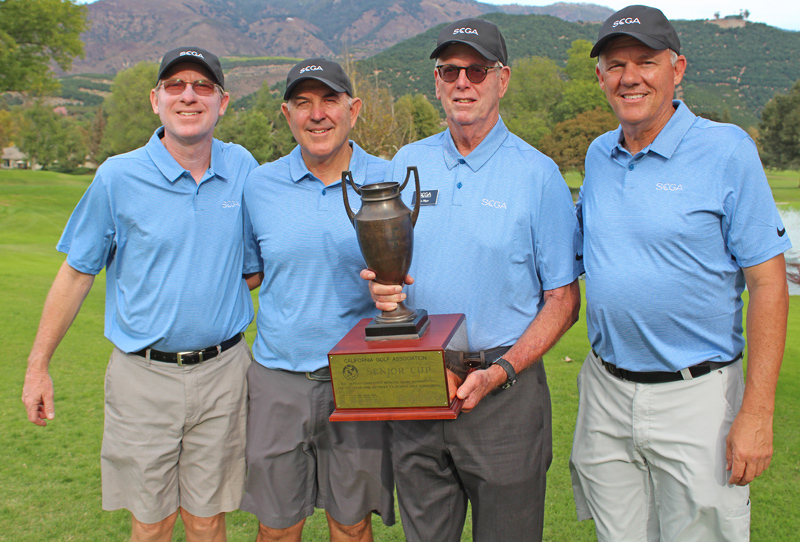 In the annual Senior Cup, which pits three players from the SCGA versus three players from the NCGA (best two scores out of three, the SCGA eked out a one-shot win, 293-294. The NCGA scored 146 on the day from Padilla and Haag. Casey Boyns had a 75. Scores from the SCGA were Pate, Craig Davis (75) and Michael Rowley (79). 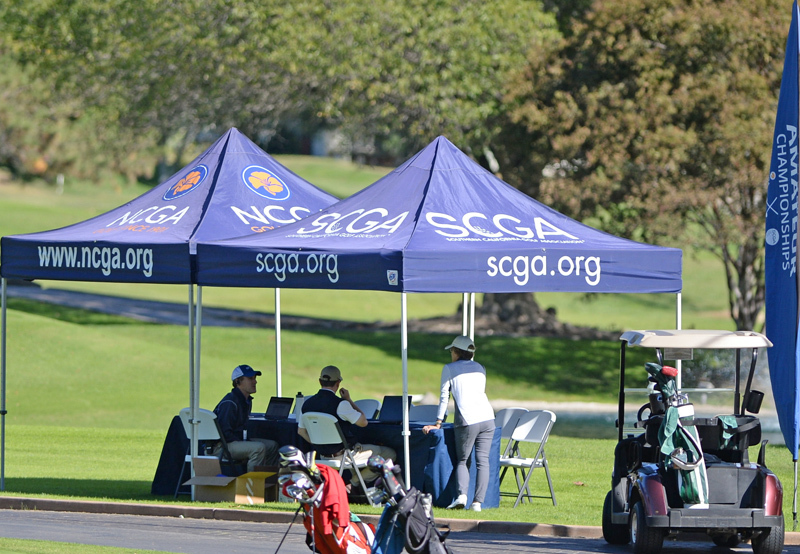 It’s the second time the SCGA has won in the last three years. From 2008-2014, the NCGA rang up seven titles in a row. The cutline to make it to Wednesday’s final round came at 11-over 153. 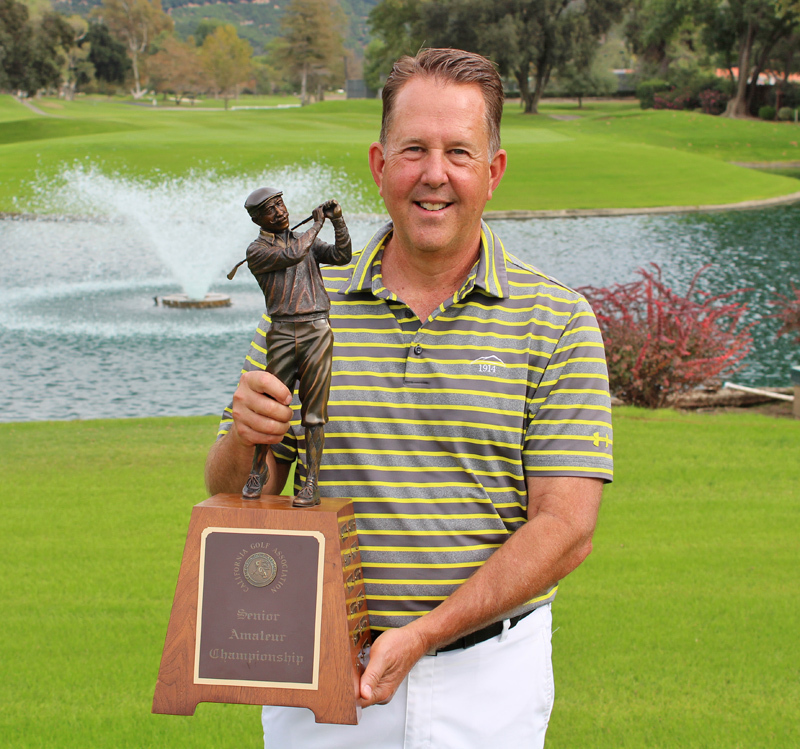 A Southern California player has won each of the last three Calfornia Senior Amateur Championships. Early on, the boys from the Southland are looking good again. John Mack, of Alta Loma near Rancho Cucamonga, grabbed the lead in Monday’s first round of this week’s championship at par-71 Pauma Valley Country Club, posting a solid 2-under 69 that featured six birdies, two bogeys and a double-bogey. Overall, of the 10 players at 72 or better, only one is a NorCal guy. Terry Foreman of Brentwood, who’s missed time due to injuries, led the NorCal contingent with a 72. The defending champion, John Pate of Santa Barbara, won in 2014 and last year at Lake Merced Golf Club in Daly City. In 2015, SoCal’s Mark Harding took the title. Pate opened this year’s championship with a 75. Other NorCal players near the top of the leaderboard are former NCGA Senior Valley Am champ Mark Morgan, David Nelson of Reno, Dennis Dachtler of Folsom and Olympic Club member Randy Haag. The four each are T-11 after opening round scores of 73. 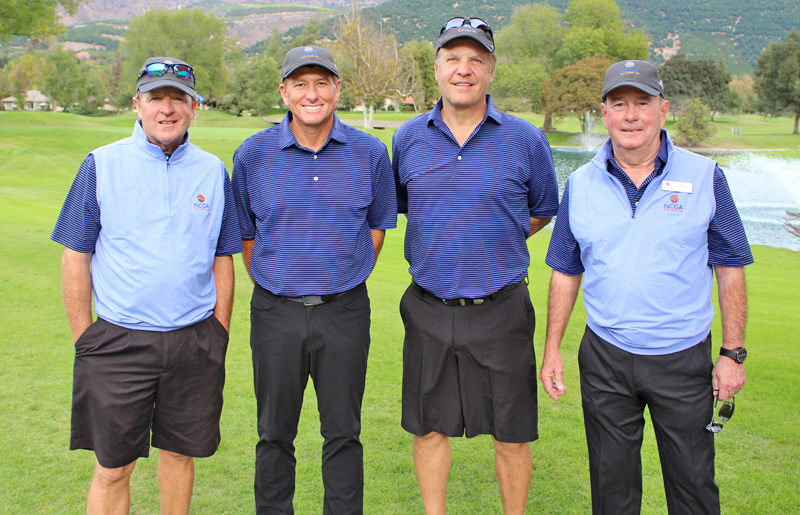 In the annual Senior Cup, which pits three players from the SCGA versus three players from the NCGA (best two scores out of three), the SCGA grabbed the first round lead, 144-148. Representing the NCGA are Haag (73), recent NCGA Senior Championship winner Tony Padilla (75) and Casey Boyns (79). The SCGA squad is comprised of Michael Rowley (72), Craig Davis (72) and Pate. Following Tuesday’s second round a cut will be made with the low 33 and ties advancing to Wednesday’s final round. The California Senior Amateur Championship began in the fall of 1992, and is the state championship for players age 55 and over. 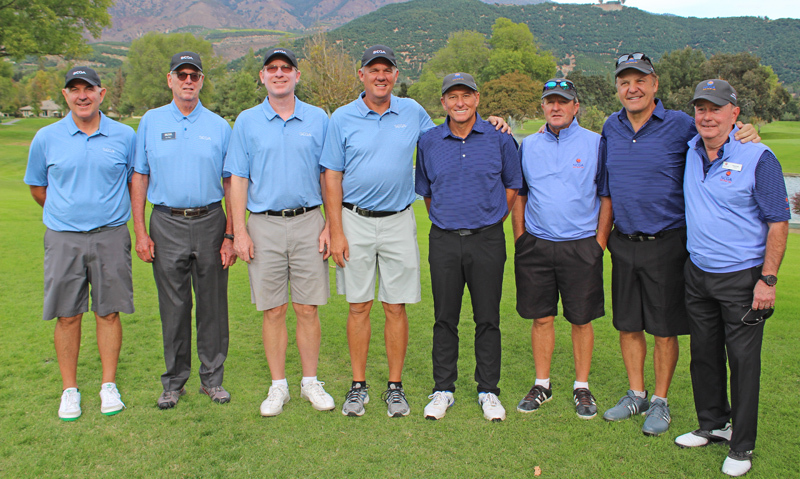 The first two tournaments were played at the Ojai Valley Inn & Spa. In 1994, the event was moved to Poppy Hills Golf Course in Pebble Beach, and in 1995, a simultaneous NCGA vs. SCGA team portion of the championship was added. Starting in 2010 this 54-hole stroke play championship will rotate to selected courses throughout the state. Players must have an index of 7.4 or less and may attempt to qualify at any location in the state.